When you brush your teeth, you're supposed to be cleaning them and protecting your health, right? So why use toothpaste full of dirty chemicals that could harm your health? 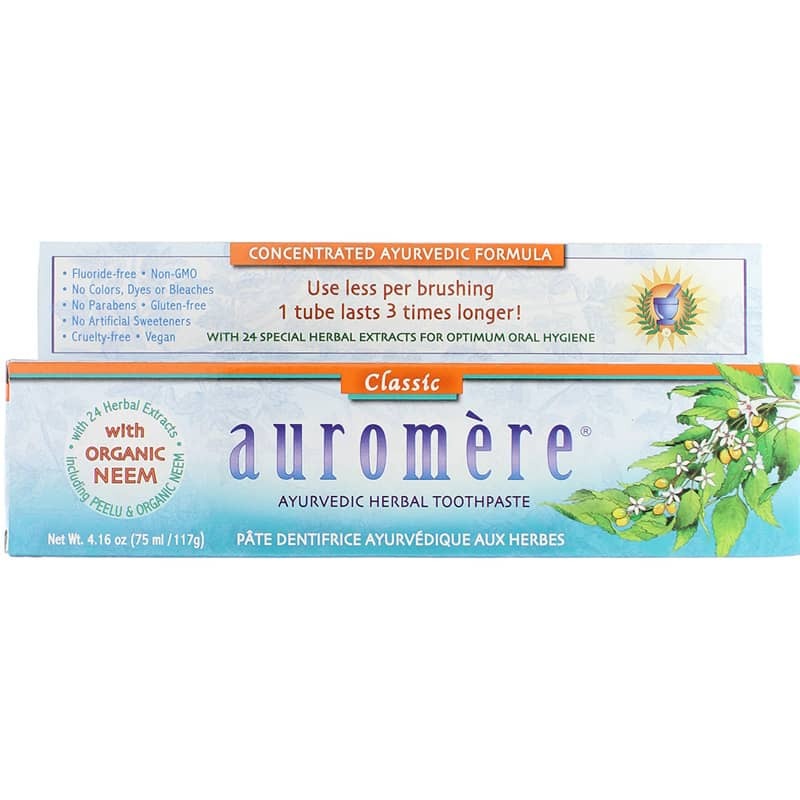 Get toothpaste that works without that stuff with Ayurvedic Herbal Toothpaste in Fresh Mint from Auromere. 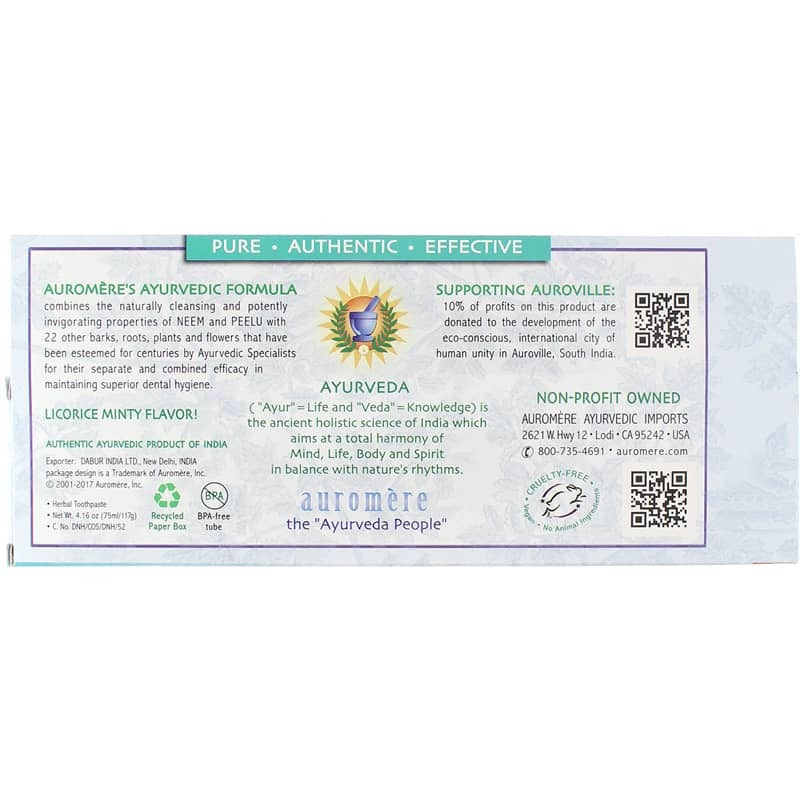 Ayurvedic Herbal Toothpaste is a natural toothpaste that combines the natural fiber peelu with the astringent properties of neem and 23 Ayurvedic herbal extracts for optimal oral care. This toothpaste's ingredients were selected for their natural astringent and cleansing properties that may help freshen breath, deter plaque and tartar, support gum health, whiten teeth and promote overall oral health. And unlike your typical toothpaste, Auromere's is free of fluoride, gluten, artificial sweeteners, dyes, bleaches or other harsh ingredients. It's also made without animal ingredients and is cruelty free. Get clean teeth with a clean, naturally minty-fresh toothpaste. 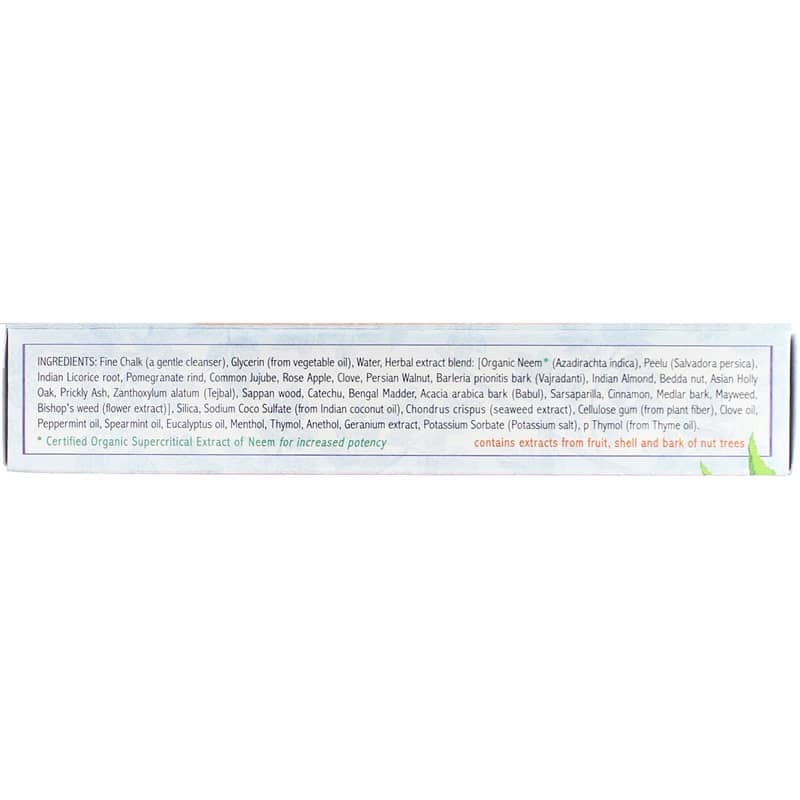 Order Ayurvedic Herbal Toothpaste in Fresh Mint. Contains NO: fluoride, gluten, bleaches, artificial sweeteners, dyes, bleaches, and animal ingredients.